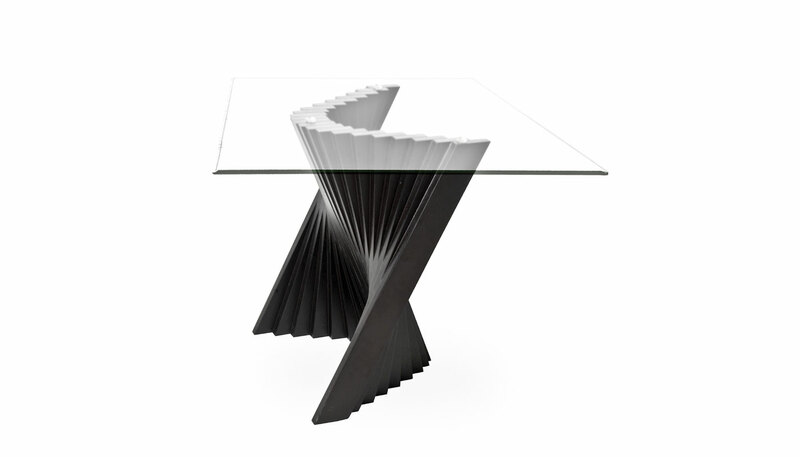 A succession of wooden pieces in the likeness of a current, the Wave End Table is equally a sculpture as it is a table. The end table is constructed of maple or walnut wood and features a pencil-edge, rectangular glass top. Price includes delivery to the USA. Manufactured by Kenneth Cobonpue.